Jewel Safaris Uganda provides professionally crafted wildlife safaris in Tanzania. 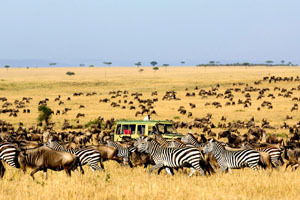 Our Tanzania Safaris are one of the most interesting adventure safaris and tours in East Africa with a great deal of tour activities ranging from wildlife tours and game drives in Tanzania’s flamboyant National parks especially Serengeti national park with the wildebeest migration as one of the most captivating safari activities in Tanzania. Our Tanzania safari packages offer you great opportunities for a trip of your life time as you enjoy big five game viewing, take relaxing holidays along the coastal beaches or engage in an active trekking to the peaks of the Kilimanjaro Mountains. We take you through the most interesting places of Tanzania which avail the great opportunities to experience the heart of a classic Tanzania safari. With the experience we have developed over time and the high degree of professionalism, Jewel Safaris is ready to take you through Tanzania. We also offer a wide range of custom made tours in Tanzania with custom cut vehicles fit for the ultimate safari adventure. Our tour consultants can guide you through constructing the best Itinerary that suits your budget as well as your hearts inner most desires for adventure and African vacation. 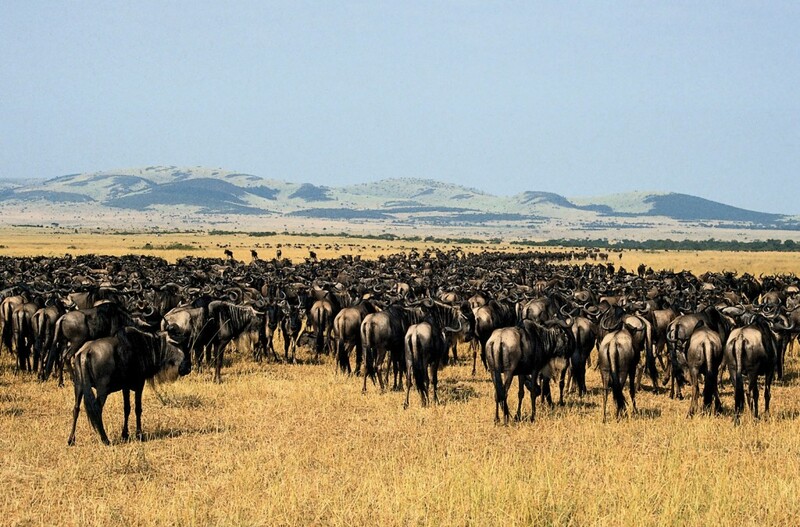 Thus, let Jewel Safaris take you there, experience it all and live to tell the sweet memmories of an East African Safari! We are here for you, and we are waiting. Cheetah is the large cat and it is the fastest land animal in the world.Cheetah and leopards do resemble but you can identity cheetah with tearmark's running from the inner corners of their eyes to the edges of their mouths. Did you know that a cheetah can run at a maximum speed of 70mph [112kph] and has a stride of 7m when running flat out? Cheetah usually hunts during the first hours of morning and last hours of evening. Female cheetah is always alone or with cubs, male cheetah will accompany female for short while after mating.Female cheetah takes 3 months during gestation and cheetahs in general live for over 10-12 years. Our tour Guide Moses, showing tourists one of his favorite spots in Murchison Fall National Park. 'Jewel safaris is a travel company that offers safaris and holiday packages in form of gorilla trekking tours, wild life safaris,cultural safaris,food safaris and educational safaris in Uganda,Rwanda, Kenya,Tanzania and Congo.' Visit our page for more information www.jewelsafaris.com or email us on info@jewelsafaris.com or jewelsafarisafrica@gamil.com.